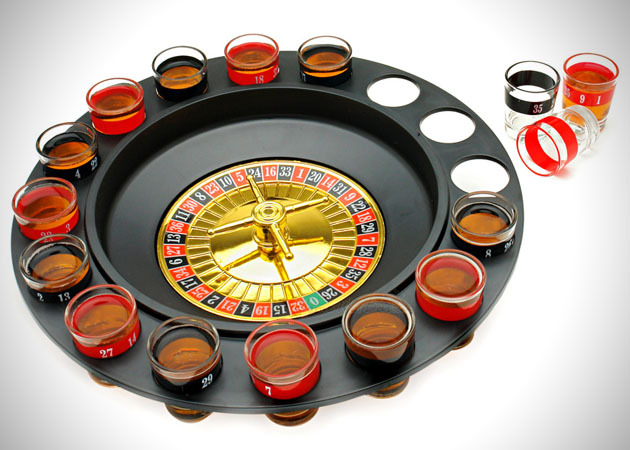 Liven up that boring party by adding booze to the mix with this Shot Glass Roulette drinking game. The game’s rules are quite simple. Every shot glass has 2 numbers and a color on it. Place your bets (using your glass), and if the ball stops on your number and color – bottoms up. The creators of the game opted for 3/4 ounce shot glasses, probably to keep people from getting drunk too quickly.